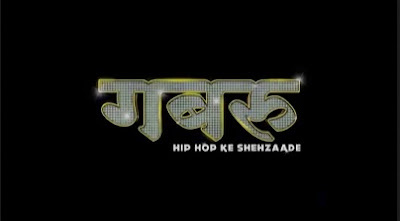 'Gabru' is an upcoming Tv serial on Discovery JEET Channel.It is a TV series about the evolution of Hip Hop in India. The show is produced under the banner of Still and Still Media Collective, helmed by Amritpal Singh Bindra and Anand Tiwari. The show focuses on the lives of three leads – Gaurav Singh aka MC Money, Bani Khurana aka Queen B and Sarfaraz Khan aka ‘Surf’. Seen in shows like Jana Naa Dil Se Door (Star Plus), Sadda Haq (Channel V) and Kuch Rang Pyaar Ke Aise Bhi (Sony TV) has been roped in for the series. She will play the Music Head of the show who will be a firm believer of the fact that talent carries a person far in their career and will encourage aspiring artists. Who has appeared in a plethora of commercials and Bollywood movies such as Bang Bang, What's Your Raashee? and Phata Poster Nikhla Hero among many more has been roped in for the series. He has portrayed various characters in dailies such as Mann Kee Awaaz Pratigya and Saath Nibhaana Saathiya (Star Plus), Punar Vivah - Ek Nayi Umeed (Zee TV) and Dil Ki Nazar Se Khoobsurat (Sony TV).